On the 11th hour of the 11th day of the 11th month of 1918 an armistice [ceasefire] on the Western Front took effect. Some countries commemorate Armistice Day, but in the US we remember our fallen and vets on Veteran's Day. 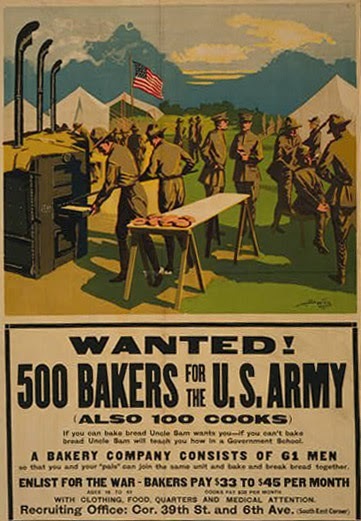 During World War I bakers and cooks were recruited who used the Army manual for cooking, including a recipe which made 15 pumpkin pies. 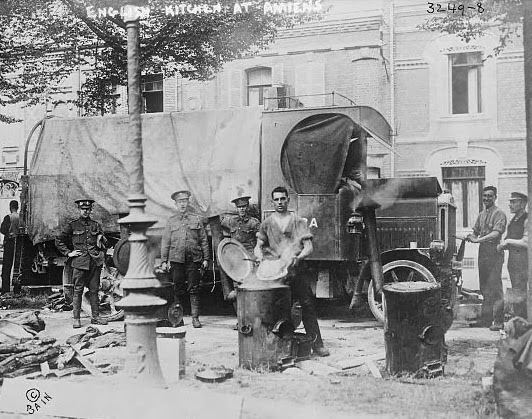 The first Manual for Army Cooks cookbook published in 1910 contained holiday menus and a large scale recipe for pumpkin pies. The following pumpkin pie is quite good, and beat a modern recipe during a Thanksgiving Dinner taste-testing. 2 12-ounce cans evaporated milk. Peel and clean the pumpkin; cut into pieces about 2 ounces each; pour 1 inch of water into a boiler; then put in the pumpkin. 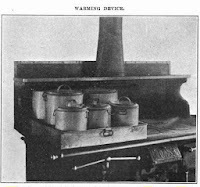 One inch of water will be sufficient, even though the boiler be filled with pumpkin, as pumpkin (or squash) contains much water. Let boil slowly until done, say forty minutes. Then mash well, add the beaten eggs, sugar, milk, and spices and mix well; make the pies without a top crust, and bake slowly. This recipe may be improved by the addition of a small amount of cream, or of one or more eggs. Sufficient for about 15 pies. 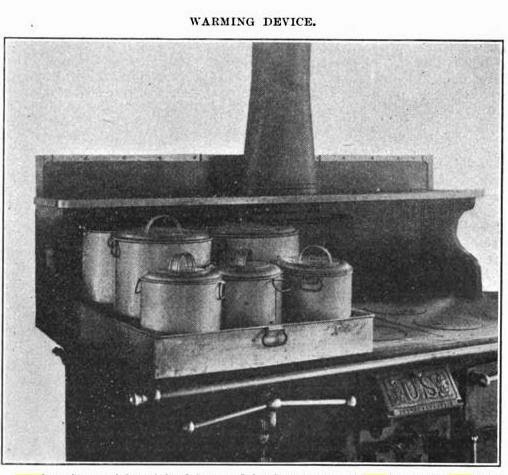 The first two WWI images are from the Library of Congress online collection and the last two images - menu and a photograph of a stove with its oven - are from the 1910 Army manual.